Whether you are looking from 250 MCM, 300 MCM, 350 MCM, 400 MCM 500 MCM, 600 MCM, 800 MCM 900 MCM, 1000 MCM, 2000 MCM, 3000 MCM, 4000 MCM or a custom size MCM cable for Building Wire-THW2, Mining Cable , Welding Cable , DLO Cable, Electrical Vehicle Cable, Generator Power Cable, Navy Ship to Shore Power Cable, Public Transportation Cable, Halogen Free Cable, Medium Voltage Cable or Custom Made Cables to 4,000 MCM, you can rely on Philatron for "Manufacturing Solutions with Undeniable Value!" Choosing extra-flexible MCM size provides you with ease for routing cables through hub holes and small bending radius. Cables that boast longer life span than the competition! We deliver quality cables that speak for themselves and last longer than most cables available in the market. Where other cables and wires may fail to support your electrical system, our products sustain even the most adverse climate conditions in the world. There are several reasons to choose Philatron Wire and Cable as your manufacturer. One of the most significant of all is that we manufacture all our cables and wires in the USA - thus keeping jobs in the country. We are one of the best quality manufacturers supplying cable and wire in the world, and with our unswerving efforts we manage to outperform the competition. You deserve the best - Trust Philatron! 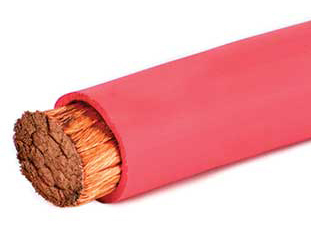 Contact us with your MCM cable requirement and get a free price quote today!